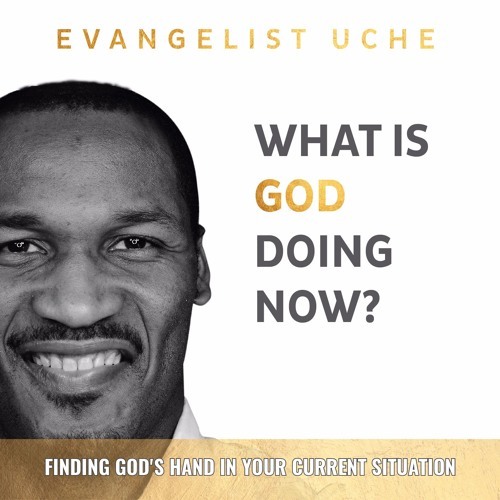 Official Soundtrack to Evangelist Uche's new book "What is God Doing Now?" #WIGDN. A fusion of Afro, rap and sonic sounds geared towards millenials. But it's message is for all. May this be the anthem that rings you into the new year. Into your best year ever - Walking on Water. Yay! Sing it loud and rambunctiously. Link to get the book: https://www.amazon.com/dp/B01N6IY5X8 Link to website: http://uche.us/2ipxW7K Produced by the one and only Ebuka Unogu (Teeklef). Written by Evangelist Uche, Ebuka Unogu and Victor Areghan. Walking on Water is about the joy you get when you begin to do the good you thought you could not do before. What you thought was impossible. When you begin to live righteously everyday, you realize that you are walking on water. You celebrate it by singing to the top of your lungs. Because you knew it was impossible before, and God has made it possible for you. It's a genre I seldom listen to however the blend of rap, sonic and afro melodies captured my soul: Wow. It’s a beautiful song. The sound of victory resonates in the words, words of worshipping the only true living God. 2017 is the year of being captivated by the Word of God that releases miracles: God making possible what was impossible: Walking on Water. Glory to God. And I wholeheartedly stand in agreement in prayer with you, Evangelist Uche, for the book and the song. It’s time to extend territories and occupy. Jesus is taking over. Amen. Great song. Especially those words of God. @user-136942791: The song is not available for download at the moment. I will send it to you via email. What is your email address? So much... just so much. \o/ This is a great blessing, brother. Continue to do God's work, and I can't wait for the book! @uche-unogu: Thank you brother i will inform you. God bless you Brother i will do video cover for this Song if you will be pleased. Evangelist Uche this is a very powerful song and a message that the world needs right now. I love the fusion of musical styles and believe that this mixture of styles will crossover many genre of music. I would tweek the beat a little to get grab your audience attention immediately! This is such a nice song, thank you so much for sharing. Hi evangelist, the song is well rounded(a mixture of all styles), try and make it more fluid - to resonate with the theme of "what is God doing now"- flawless & flowing not so upbeat or hip hop oriented. Thxs. I really loved the song! It inspired me to always keep the faith no matter what a situation may look like. Muito bonito, mensagem Cristã, num fundo de coral Afro com batimento rap e melodia sound. Sabes que sou africano de modo que esses sons mexem comigo. Parabéns Uche e Equipa. Um abraço. This is a well composed and produced Inspirational/rap music. I enjoyed listening to it especially the intro (rich in quality). keep up the good work.